We prepared this deliciously easy tomato rice dish during our Penang Cooking Class, which was served with Penang Achar and Chicken Rendang. Of all the dished we made during this class, this is probably the only one I could manage at home (aka this was the easiest to prepare and took the least amount of obscure ingredients). 6 cloves of garlic, pound into a paste. Peel and slice shallots lengthwise, heat oil and deep fry till light golden brown, take care not to burn them. Set aside. This is for garnishing. 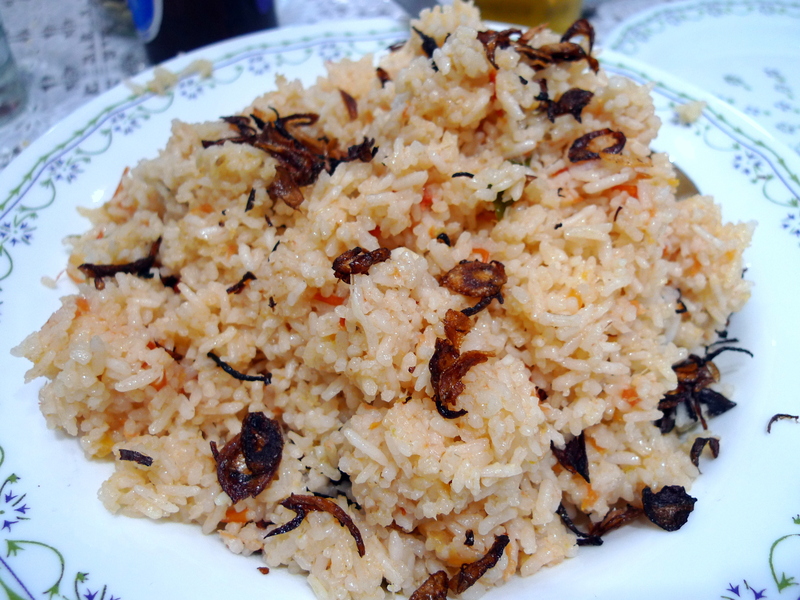 Cook rice with 1.5 cup of water till rice is almost cooked; fork out the rice to let the lower layer of rice to cook. 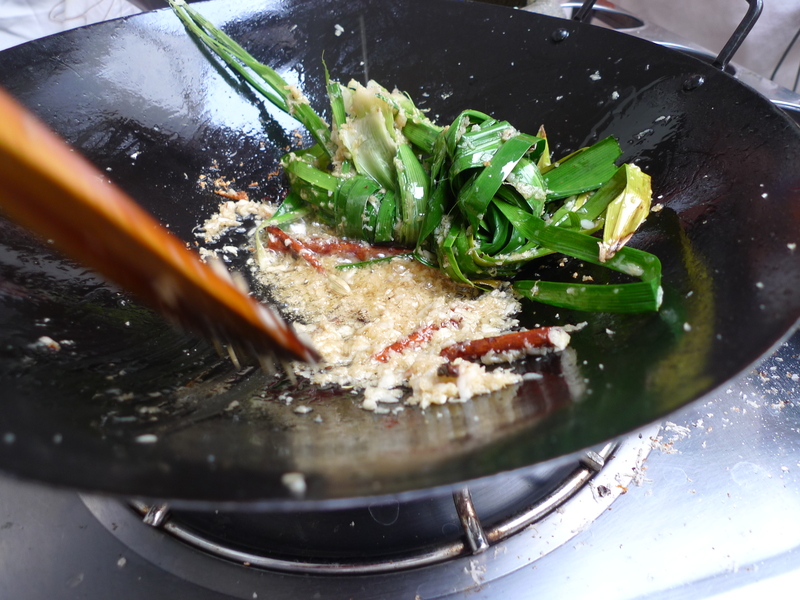 In another wok or pot, heat 4 tbs of oil, sauté dried spices with pandan leaves, add ginger slices and garlic paste. Wait till the aroma comes out and then add in chopped tomatoes and simmer until the mix is a bit dry. Then add in coconut milk. Simmer for about 2-3 minutes. Pour into rice when the water of the rice is almost dry and sprinkle salt to taste. Shred mint leaves and mix in the rice (optional). 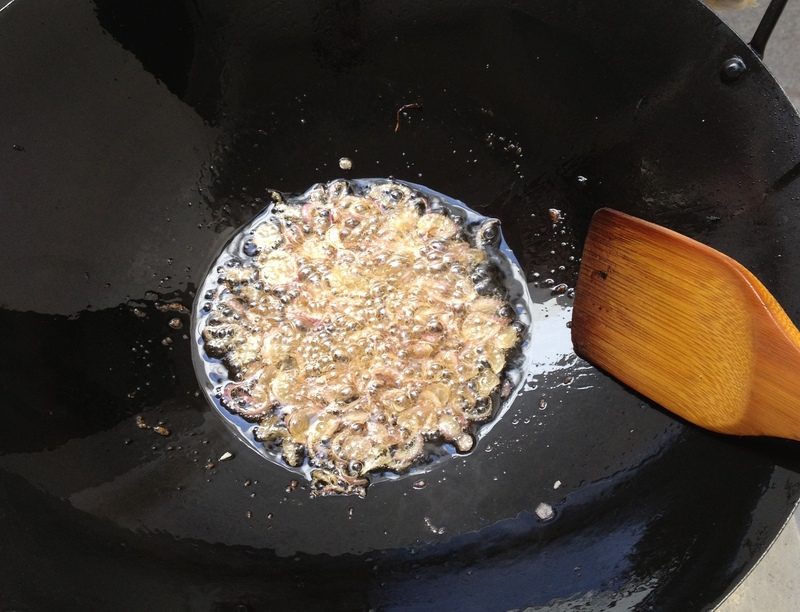 To serve, sprinkle the fried shallots for garnishing. You might also have to add in some water if the rice is not properly cooked after the liquid dries up. 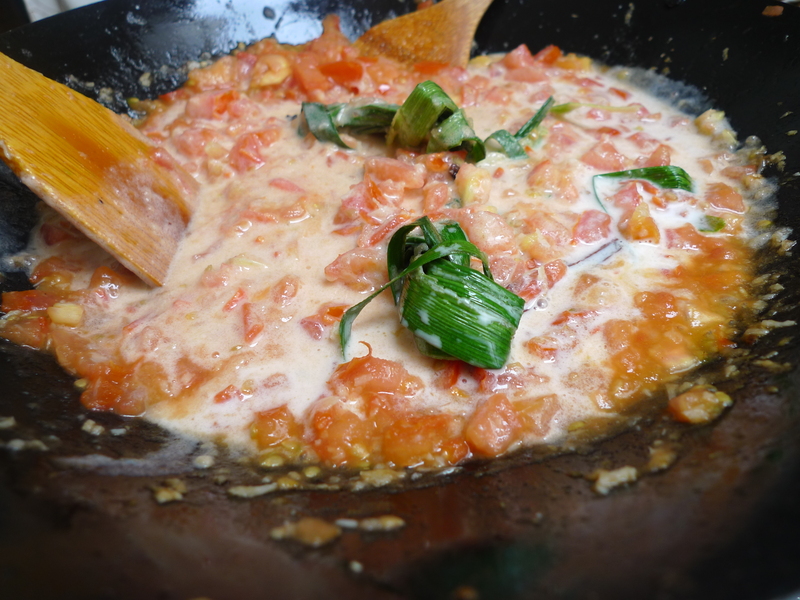 You may also add in tomato puree or cream of tomato soup in place of chopped fresh tomatoes. Looks delicous and easy to make.